Described as a super-translucent mattifying powder for all skin tones, One Heck Of A Blot promises to degrease shiny skin with 'world-class shine control and oil absorption'. 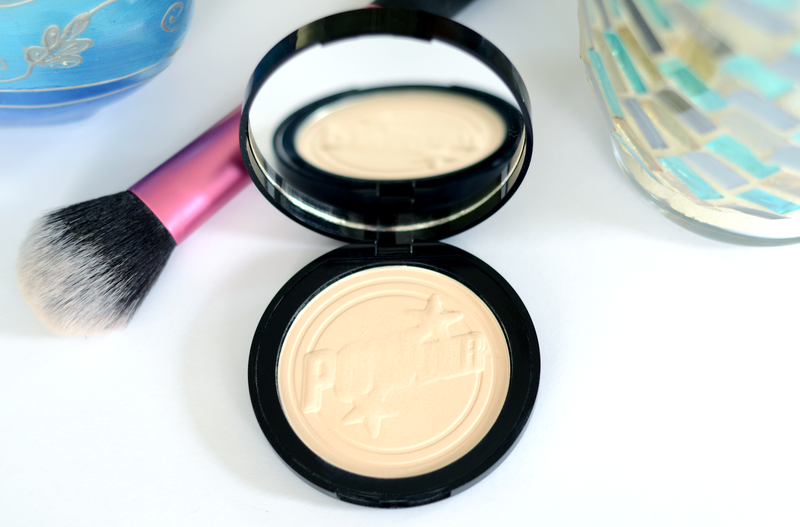 The powder is fine with a milky colour in the pan and translucent finish that reduces shine without adding coverage to the skin. 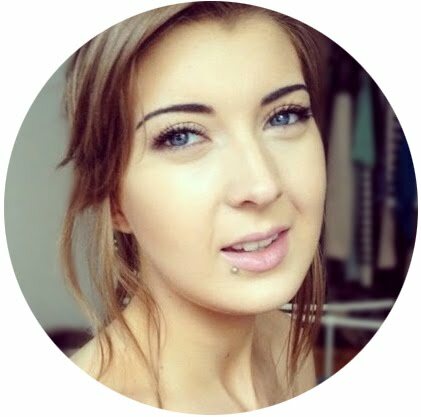 I'd read many reviews that said the blotting powder was almost undetectable over foundation, but I've found that it depends on how much you need to apply- for oily skin like mine I find quite a lot needs to be applied when setting makeup to keep it in place so at first it can look a little powdery. However, after the application of a setting spray (or an hours or so later when oil starts to creep through) the powderiness disappears. One Heck Of A Blot really helps to keep my makeup in place and can be re-applied if needed throughout the day without making foundation look cakey or heavy. 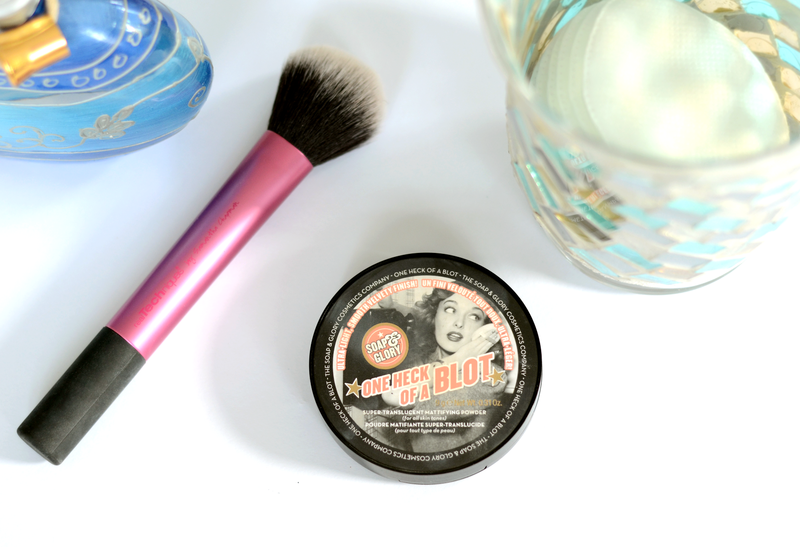 I'm onto my second compact of One Heck Of A Blot and, as well as the application, I really like the compact's typical Soap & Glory vintage style image on the lid which is both whimsical and hard-wearing! The embossed 'powder' design on the actual product is a nice touch (even if it doesn't last very long!) and a very good sized mirror helps with touch-ups. I apply the blotting powder with a small brush like the Real Techniques Setting Brush under my eyes and around my nose, but I've found applying to the rest of my face with dense brush like the Eco Tools Retractable Kabuki Brush patted onto my skin actually helps make the product look less powdery than a fluffy brush. Once you've used this powder for setting, your makeup really is set in place so you need to be sure that your base is perfect and doesn't need any liquid or cream products added! I would really recommend this powder for both setting makeup and controlling oil throughout the day. If you have normal or combination skin then I'd imagine a light dusting would be all you need to keep any oil at bay. 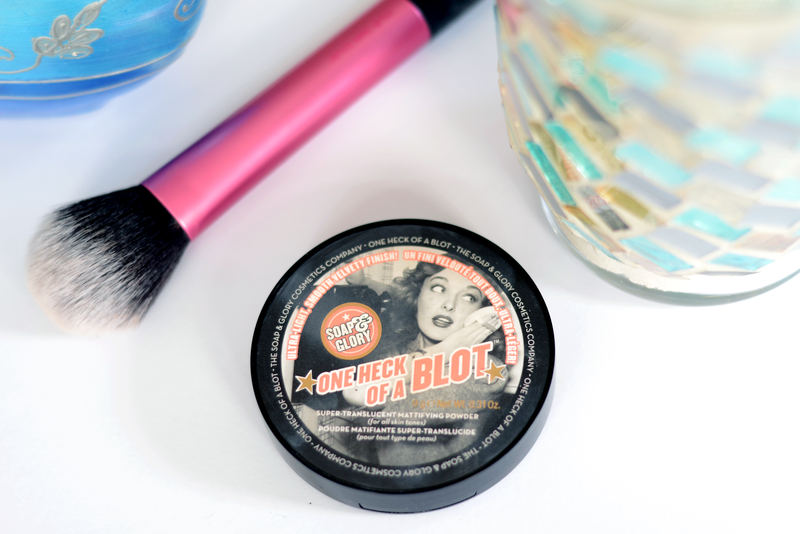 Soap & Glory One Heck Of A Blot is available for £12 from Boots. 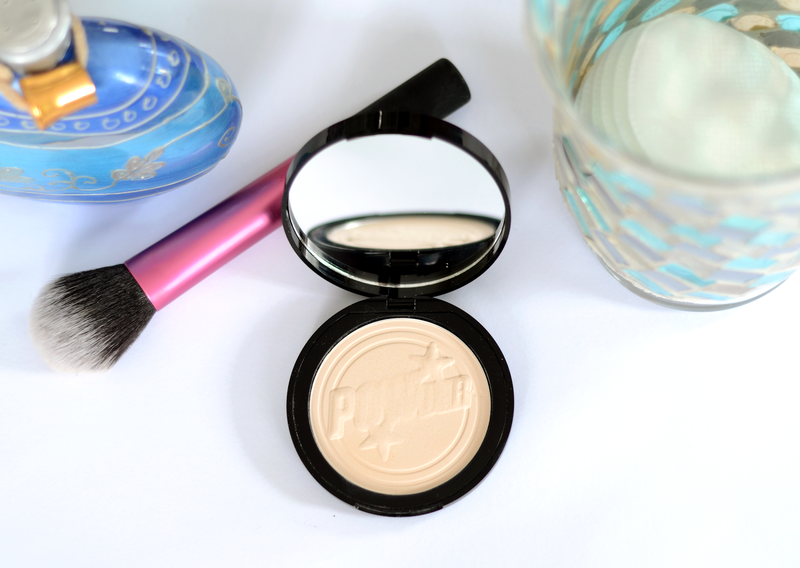 This is such a great powder!